A lot of automakers use the midsize sedan segment as their best foot forward. At Jim Burke Hyundai in Birmingham, AL, we’re thrilled to have the 2015 Hyundai Sonata at our dealership. With its powerful engines, great value and exceptional interior space, the new Sonata excels at being used everyday. For an amazing price on a new Hyundai, visit Jim Burke Hyundai at 1424 5th Ave. N and spend some time with our award-winning staff. As one of Alabama’s top-ranked Hyundai dealerships, we proudly serve Hoover, Tuscaloosa, Talladega and Jefferson County, AL. Stop by Jim Burke Hyundai and check out the new Sonata today. 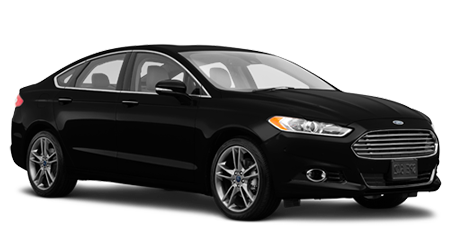 There’s a lot of strong competitors in the midsize sedan segment, so let’s see how the 2015 Hyundai Sonata performs against the Ford Fusion. When comparing these two cars against one another, the first thing you’ll notice is the price difference between the two. The Sonata has a MSRP of $21,150, while the Fusion starts at $22,010. That’s a price difference of $760 in the Sonata’s favor. With a price that’s lower than the competiton’s, the new Sonata is great value for money and is the best bang for your buck. The Sonata will save you hundreds of dollars in the initial purchase and is the best choice for those looking to save money on a new car purchase. Both of these vehicles come with three engines for you to choose from. However, the Sonata’s engines provide you with more power, as well as better fuel economy. The entry-level Sonata has a 2.4L inline-four that makes 185 hp and can return 25/37 mpg (city/hwy). For those looking to get excellent fuel economy, the Sonata Eco features a 1.6L turbocharged inline-four that produces 178 hp and can get 28/38 mpg (city/hwy). The top-of-the-line Sonata comes with a 2.0L turbocharged inline-four producing 245 hp and can get a fuel economy of 23/32 mpg (city/hwy). The 2015 Hyundai Sonata is an amazing option in the midsize sedan segment. With its fuel-efficient engines, large list of safety features and exceptional value, the new Sonata has the edge over the Ford Fusion. 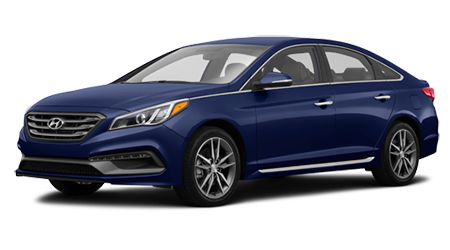 Visit Jim Burke Hyundai in Birmingham, AL for an incredible price on a Hyundai and explore the new Sonata today.